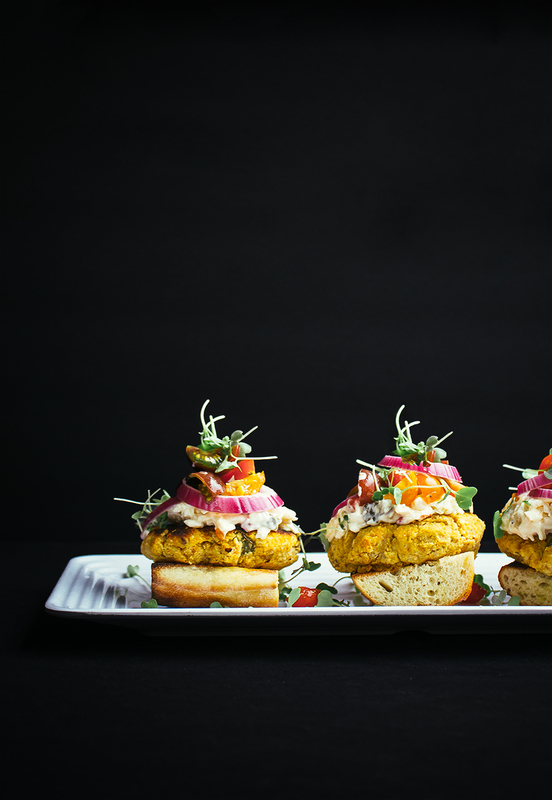 Today I am excited to pair up with the fine folk over at Vlasic Farmer’s Garden to bring you a healthy, delicious, and nutritious vegetarian grilling recipe! This veggie burger is not like your typical freezer bean patty – this burger has the base of fresh vegetables and beans, an irresistible tanginess from the pickles, and is stuffed with a southern classic: pimiento cheese. For anyone unfamiliar with pimiento cheese, let me fill you in: the south knows what it’s doing. Fried pickles, gooey macaroni and cheese, and tangy pimento dip are all American staples due to southern home cooking (or at least that is what I’ve been told from my time living in Nashville, TN). Pimento cheese dip is super basic: creamy mayonnaise, sharp cheddar, cubed pimientos, and tangy pickles. That is it. Yes, you can add in some scallions for color or some salt/pepper for seasoning but don’t go overboard with too many other flavorings. There is an indulgence richness to southern specialties that is not to be ignored and pimento cheese is no exception. You may be tempted to half the mayo in the recipe for a healthier version or look for low fat cheese but please don’t – honor the richness of the dip and go all out! 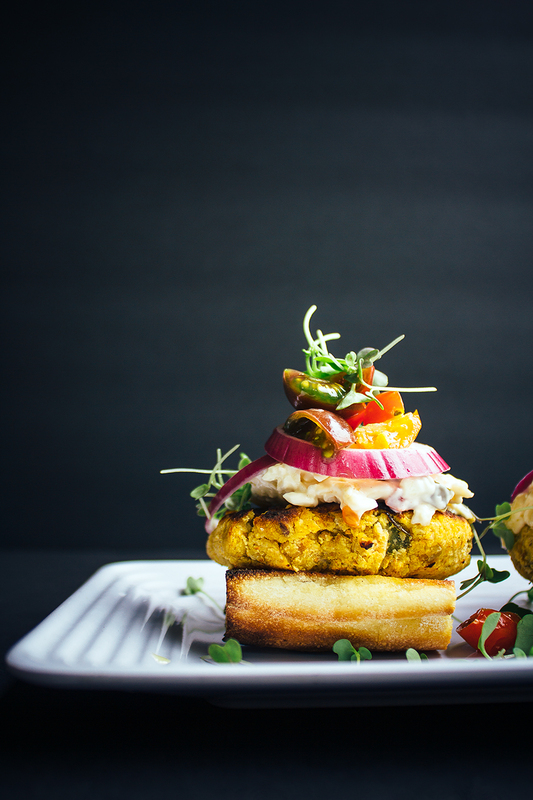 Heck, the chickpea base is pretty darn healthy anyways so why not splurge a little on the tablespoon of dip stuffed in the burger? It only took me 10 years of being a vegetarian to ditch processed veggie burgers. I’d be lying if I didn’t admit to living off of frozen, store-bought black bean burgers during those first few summers with a side of roasted vegetables and a layer of bbq sauce over it all. A few winters back, I got in the habit of whipping up a batch of veggie burgers and then freezing them for quick lunches during the week. They were so simple and healthy to throw in a pan with a little ghee and cook on each side until browned. After that winter, I tried bringing a pack of veggie burgers to a grill out only to find I couldn’t stand the dense, crumbly store-bought versions anymore. 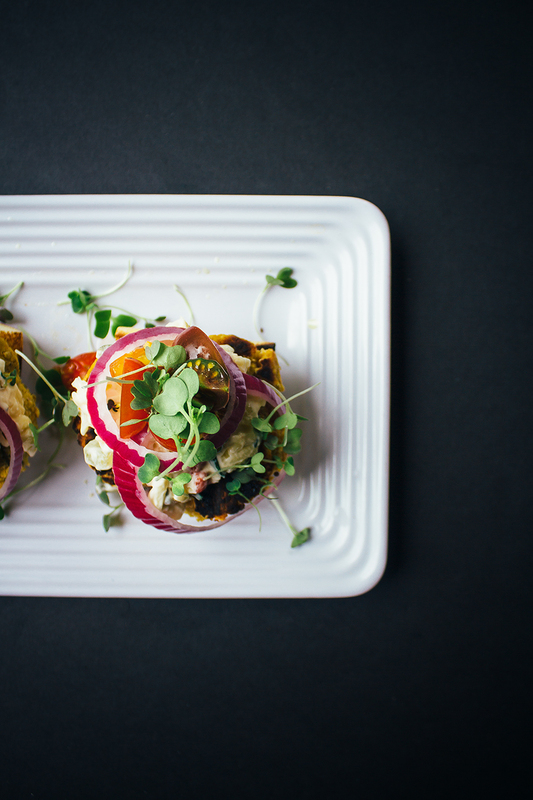 The solution seems simple: make your own veggie burgers moving forward. Although this is easy to accomplish when you’ve got a frying pan at your disposal, grilling them at your friend’s bbq is another story. I’ve been through many recipes that fall apart at the sight of a grill and end up causing more embarrassment by the host trying to flip them than your taste buds are worth. It took a good 3 summers of trial and error before I mastered a sturdy burger and they still don’t always turn out to be the easiest things to grill. My tips for grilling these are to make sure they are chilled before placing them on the grill (this will help them keep their shape) and make sure you are using a large spatula to flip them. If they do fall apart, use the spatula to lightly smash them back together and they should be fine. If you are having trouble keeping them together than feel free to go with a steaming method by wrapping them in tin foil and grilling them wrapped up. This will create a softer burger and the outer layer won’t get crispy but it’s still delicious. And if all else fails then there is always the fool proof stove top method which is cooking them in a frying pan with a bit of ghee (works every time). 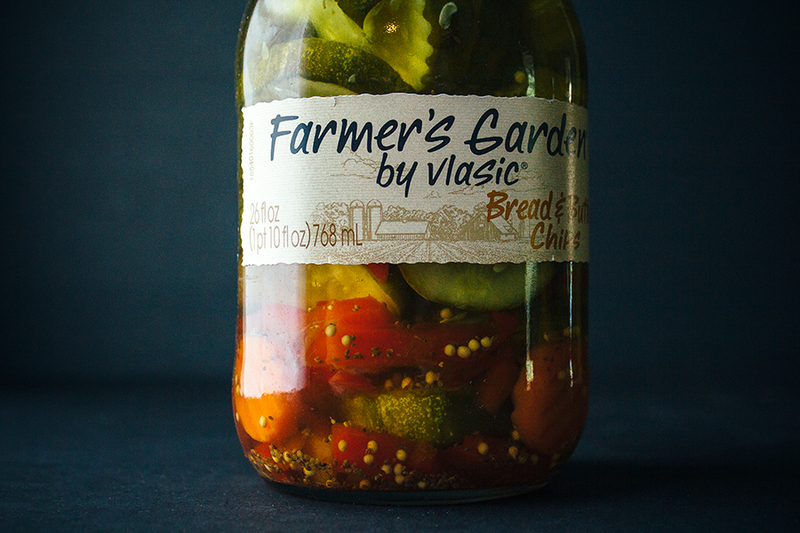 Farmer’s Garden by Vlasic pickles are artisanal-quality, premium pickles, made with honest ingredients and no artificial flavors. This is the main reason I first discovered Farmer’s Garden pickles because I was having trouble finding a pickle that didn’t contain high fructose corn syrup in it. After standing in the grocery isle for far too long reading the labels, I came across Farmer’s Garden dill pickle chips. Farmer’s Garden pickles are made with the finest, specially selected ingredients – deliciously ripe cucumbers, whole garlic cloves, slices of red bell pepper, rounds of carrots and fresh herbs and spices – harvested at the peak of freshness. There are five delicious varieties of Farmer’s Garden by Vlasic pickles: Zesty Garlic Chips, Bread & Butter Chips, Kosher Dill Spears, Kosher Dill Halves and Dill Chips. 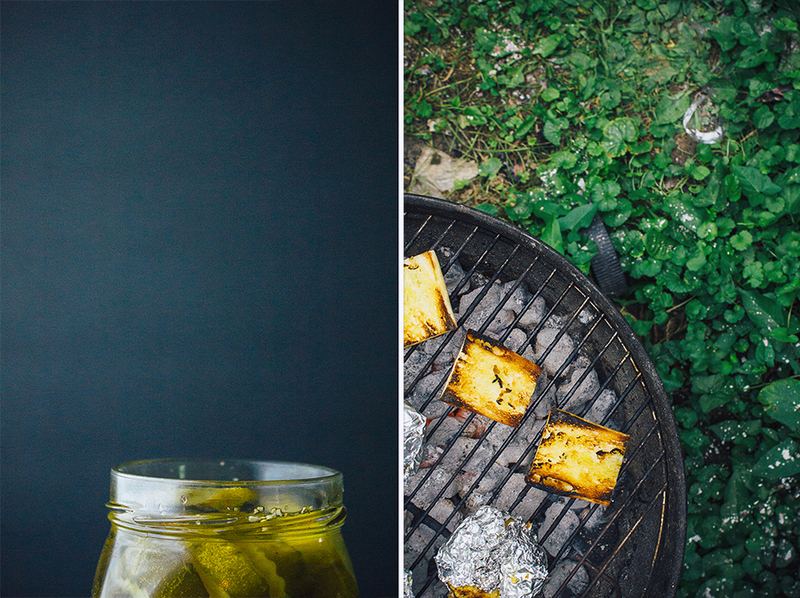 I’m a sucker for the sweetness of bread & butter pickles so that was what I used in this recipe but feel free to substitute in your favorite flavor. Now here is where you come in! Farmer’s Garden is celebrating the authentic taste of #FarmToJar with the Savor Simplicity Sweepstakes running from 5/7/14 – 7/31/14. Enter at www.farmersgardenvlasic.com for a chance to win a weekend cooking adventure or summer entertaining package, each worth $1,500. One winner will be chosen each month. A $1 off coupon will also be given to all entrants immediately following entry. Also, feel free to join in the conversation on Twitter using #FarmtoJar. Also, don’t forget to check out Farmer’s Garden on Facebook and Twitter! For the Pimiento cheese: Combine all ingredients together and use a spatula to scrape the sides of the bowl to make sure everything is mixed. Cover the bowl and place in the fridge until ready to use. For the burgers: Add the carrots to a food processor and pulse a few times until they are diced small. Next, add in the chickpeas and sunflower seeds and continue pulsing until everything is very finely chopped (and has almost turned into a paste). Transfer to a mixing bowl and fold in the breadcrumbs, salt, and pepper. Sprinkle the chickpea flour on a clean surface and use that area to divide the dough into 6 balls (making sure each ball is coated with a little bit of flour). Wrap the balls in foil and transfer to the fridge until chilled (about 30 minutes to an hour). Once the dough is chilled, gently roll out each ball on a floured work surface and dab a tablespoon of pimiento cheese in the center. Fold the outer edges into each other until the pimiento cheese center is completely sealed with the chickpea mixture. Wrap back up and transfer back to fridge. Repeat this process with the rest of the dough balls. To cook: As mentioned above, there are several techniques you could use to cook the burgers. I recommend cooking them in a saucepan, over medium heat, with a tablespoon of ghee for 5 minutes on each side (or until browned). You can also stick them on the grill for a few minutes on each side but be careful with them as veggie burgers do fall apart easily. 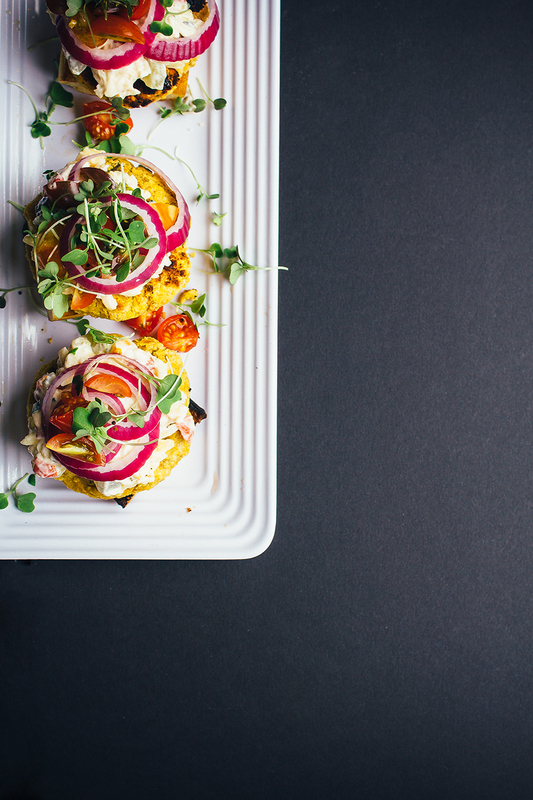 To serve: Enjoy with whatever you fancy but I recommend toasting some baguette for the bun and topping with more pimiento cheese, onions, pickles, tomatoes, and micro-greens. Holy crap! This is over-the-top good! Beautiful pictures, delicious recipe, love everything about this! Whoa. This looks so, so, good!!! Such an awesome creation! Put this in my face. Now, please. Can’t believe I only just found your blog! The photos are absoloutely amazing and the recipes are on point! Love this! Oh my.. this looks amazing! Love the idea of pimiento cheese burgers..
I’ve had some amazing veggie burgers but I’ve never made them myself. This probably needs to be changed… Yours look beyond delicious and I hope you know how much I adore your photography, Shelly. Love the blue hue. My veggie burgers always fall apart, but I love them anyways! Beautiful photos, these looks like delicious little nuggets. these look AWESOME. definitely going to be making these tonight! thanks for sharing another great recipe.. love it! Beautiful photos, as always, Shelly! I gotta get me some of this pimiento cheese dip stuff! Looks soooo yummy! What could I use in place of cheddar for a vegan version? Oh my goodness – chickpeas and pimiento cheese – both of my all-time favorite things! This sounds (and looks, gorgeous photographs btw) divine! hmm…I think the pimento cheese lost the cream cheese somewhere along the way…it’s mentioned somewhere…. I didn’t use any cream cheese for my pimiento cheese – I usually just have mayonnaise be the shining star for mine! Although, that does sound super wonderful – I’ll have to try it with cream cheese the next time around! Thanks for the tip! I tried these tonight and they turned out kinda bland, though, certainly much better than store bought burgers. I liked the idea, I think I’ll try again and add some spices to the burgers. There was a lot of pimento cheese left over, that part of the recipe could be easily cut in half and there would still be plenty to top the burgers with.